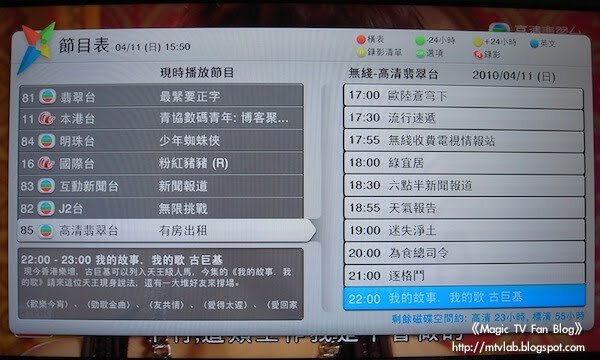 》香港討論區 - MAGIC TV 3000 係咪壞左? If you are using older 4.01 beta firmware and your Magic TV has internet connection (wire or wireless), you can do a online firmware update to beta4. I think the price will be cheaper than expected! There will be many new features on the new EPG! 加入完請去你的mailbox "Activate your Email Subscription to: Magic TV Firmware 更新"